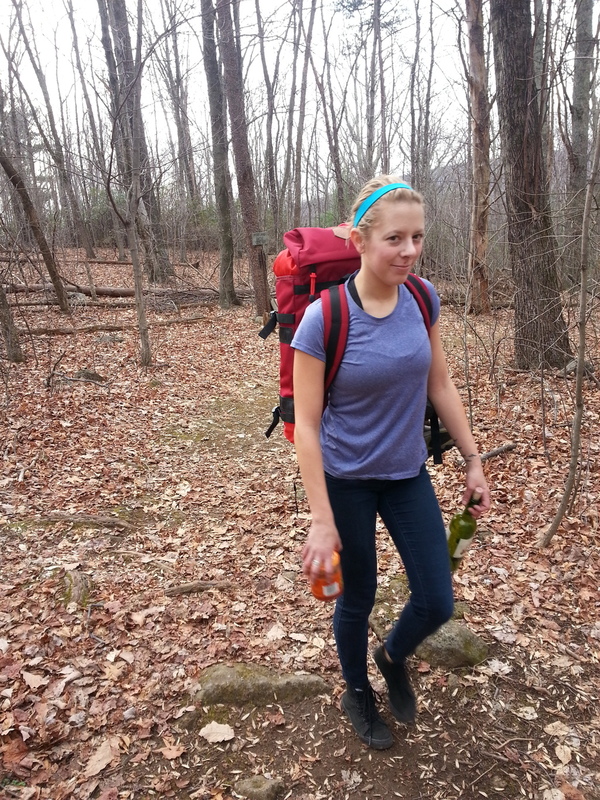 We've been to a great many PATC cabins over the years, but I was most impressed by Wineberry. Its two-tiered porch, stained glass windows, and outdoor cook area were great. The hike into the cabin was short - only about half a mile - so we brought all the toys including a chainsaw, four mountain bikes and, of course, the quadcopter. Elmer even brought his guitar to keep us entertained while we sat back and relaxed. 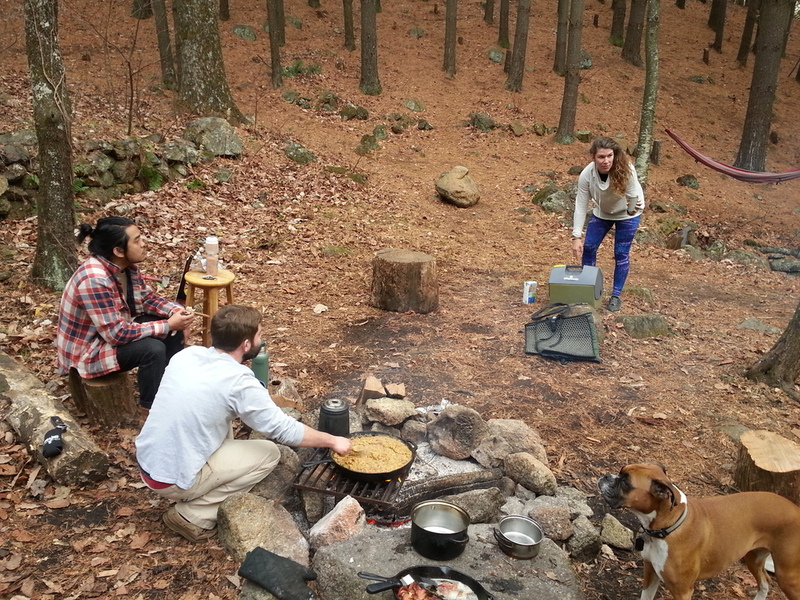 On these trips, the idea is to kick back and take it easy, but we kept ourselves busy on Saturday gathering firewood and exploring the woods by foot, bike, and Phantom. 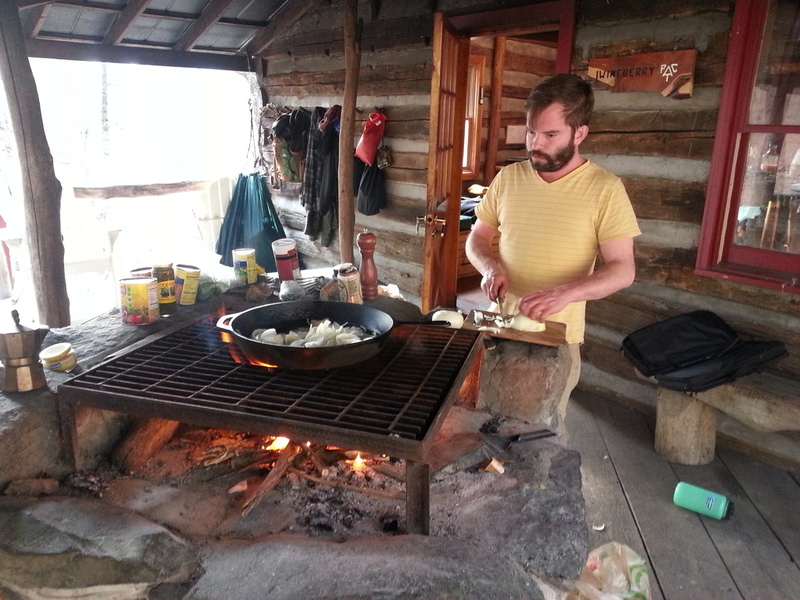 Jeremy made use of the raised cook surface as he prepared a white bean & chicken chili for us that night. We tried exploring the trails around the area, but soon found a locked gate. 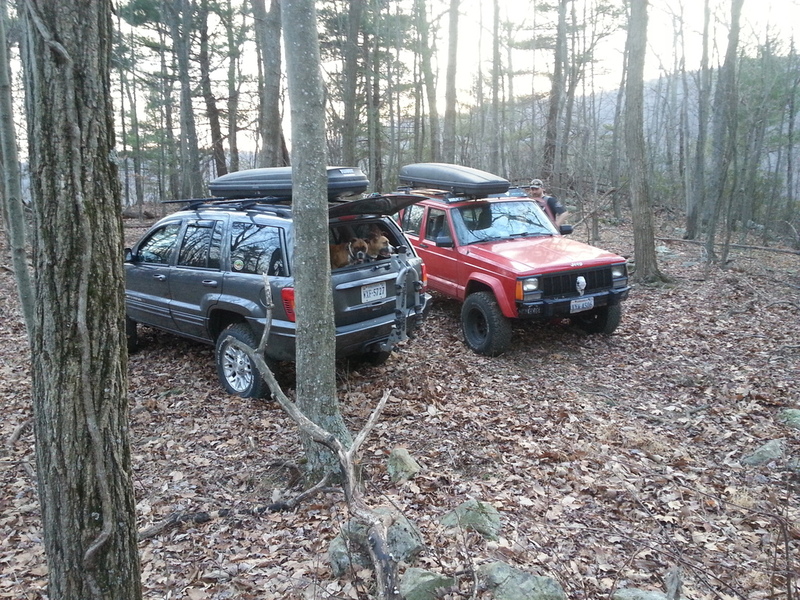 Instead, we parked the Jeeps and hiked to a lookout with the dogs. 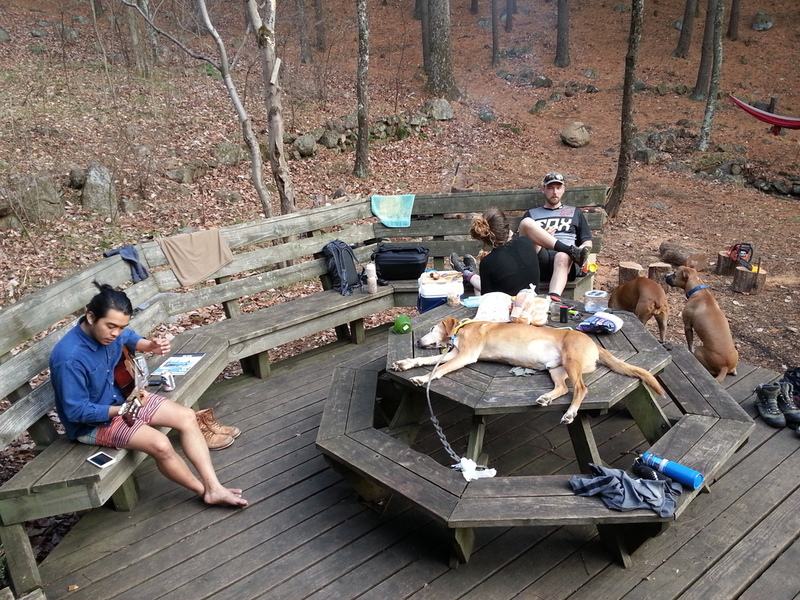 On Sunday we cleaned camp, restocked the cabin with wood, and took the traditional dip in the spring-fed outdoor tub. This time of year would usually signify a brave plunge into the cold water, but this December's unusually warm temperatures made it a brisk but refreshing splash. My first flight over water...scary!